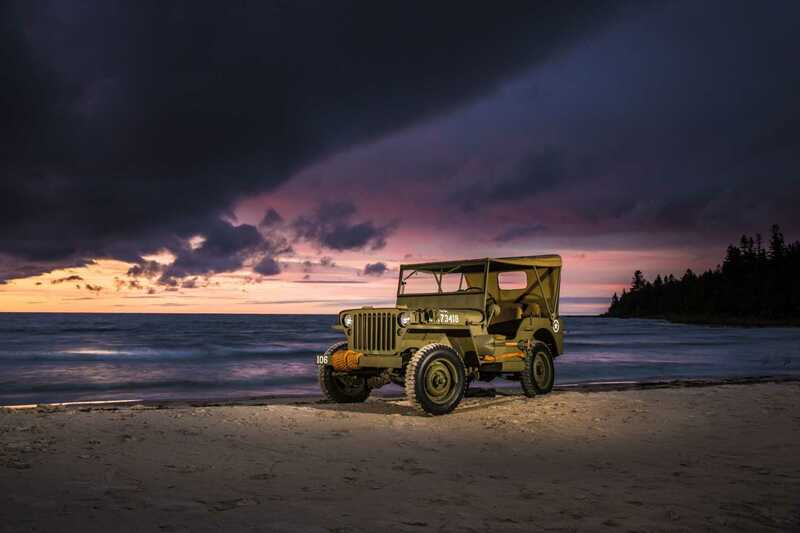 In July, this year Jeep is celebrating 75 years of legendary off-road capability, outdoor adventures, and open-air freedom, all of which are best epitomised by the iconic Jeep Wrangler. In the Jeep’s own language, Wrangler is actually a ‘fun and freedom machine’, which reflects character the lifestyle of its customers, oriented towards original and distinctive cars with a strong personality. Wrangler owners are ready to explore and follow the adventurous spirit, equipped to have fun with their car and above all not at all afraid to drive into mud, across rocks, and up mountains. Wrangler also best expresses the customers’ endless possibilities of customization, being the most customized Jeep vehicle worldwide. In terms of heritage, Wrangler is the icon of the Jeep brand, because it can trace its lineage directly back to the Willys-Overland Jeep MB, the World War Two legend that started in the entire Jeep story. Willys trademarked the name after the war and turned the MB model into an off-road civilian utility vehicle called CJ-2A (CJ stands for Civilian Jeep). The CJ model was mass produced in 1945 and was also called “Agri-Jeep”, nodding to its original usage in farmhouses in North America as utility vehicle and ‘working’ tool. The CJ series were produced for thirty years and through the different models that were launched in the period from 1946 to 1986, contributed to the transformation of the Jeep models from utility vehicles to lifestyle vehicles. In 1986, the first generation of Wrangler – the YJ – was launched replacing the CJ series. This new vehicle had a wider track, angled grille, rectangular headlights and a more modern interior. It answered the requests of the growing market for compact four-wheel-drive vehicles that although still seeking the practical characteristics of the Jeep CJ series, also asked for “comforts” found in passenger cars. The second generation of Wrangler, the TJ, was introduced in 1997. Although the TJ looked very similar to the CJ-7, it was very different from a mechanical standpoint. Nearly 80 percent of the vehicle parts were newly designed. The TJ introduced a “Quadra-Coil” suspension, a four-link coil suspension, replacing the previous leaf springs, providing a greatly improved on-road performance. Off-road capabilities were enhanced with increased ground clearance and more aggressive approach and departure angles. The all-new 1997 Jeep won the prestigious 4×4 of the Year award in the US. The TJ retained several classic Jeep features, such as round headlamps, a fold-down windshield, and removable doors as well as a choice of a soft top or removable hard top. A factory-fitted sports bar was also standard. In 2003, named after the legendary trail in the Sierra Nevada mountains, the Wrangler Rubicon equipment level was launched to enhance the benchmark off-road capabilities of the model and represent the most rugged and capable Wrangler. The Rubicon dedicated off-road equipment ensured best-in-class off-road performances and included the push-button-actuated locking front and rear axles, a specific 4×4 system with three differentials, 4:1 low-range transfer case and many more options not available on any production Jeep before it. The current Jeep Wrangler (JK) was introduced in 2007, adding to the successful, original Jeep formula an all-new frame, exterior and interior design, diesel and petrol engines and additional safety and convenience features. In 2011, all-new interiors with improved ergonomics and upgraded materials were introduced on all Wrangler models while the Sahara trim level received a new, more premium body-color hardtop to provide a more refined appearance. A choice of three different roof options was also offered to convey the open-air driving experience delivered by a unique convertible car. With the third generation a four-door model – the Jeep Wrangler Unlimited – was introduced, offering more refined on-road comfort as well as even more versatility. With a 52 cm longer wheelbase, room for five adult passengers and the most cargo space ever available in a Wrangler, the Unlimited offered seamless integration between Jeep legendary off-road capabilities and the roominess and versatility of a car for every day driving. Today the Jeep Wrangler is available in New Zealand in both two and four-door body styles, with a choice of a 3.6-litre V6 petrol engine and, in the four-door Jeep Wrangler Unlimited, a 2.8 litre Turbo Diesel engine. There are three trim and equipment levels, Sport, Overland and the ultimate over road, all-terrain versions, the Rubicon. Prices start at a recommended retail price of $51,990 plus on-road costs for the Jeep Wrangler Sport.